A Thai style unit with private terrace to watch the river. 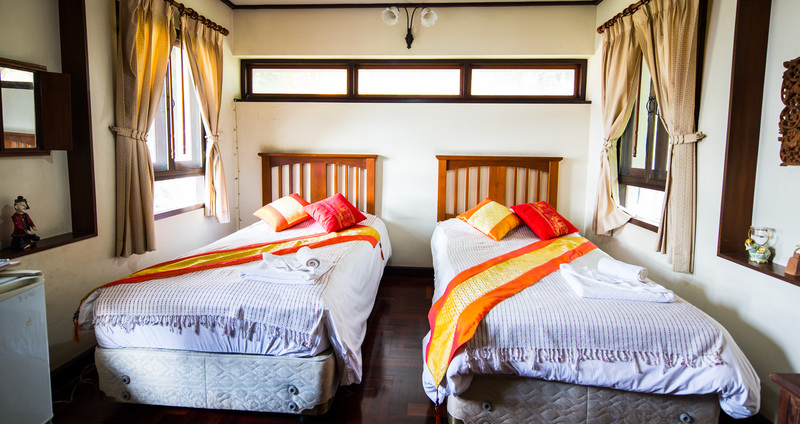 The room is on the second floor of a King Rama 5th style home. Staying in Yol Natee room is very impressive, looking over the river from the front balcony where guests may read or have breakfast in the morning here. There is also the back balcony to enjoy the garden view where colorful flowers and fresh breeze welcome you in the morning.